The Advisory Board of Camp Newaygo is comprised of skilled and resourceful individuals who are devoted to improving our camp and preserving it for generations to come. Thanks to their fundraising, guidance, connections and advocacy, we continue to be a catalyst for growth even after 90 years. Principal at University Prep Academy, Camp Alumni from 1990’s. Therapist at West Brook Recovery Center LLC, Mom of a current camper and staff member. Alumni from the 1999-2000 Kathy now has three children looking forward to attending Camp Newaygo as soon as they are old enough! Elementary Teacher at Grand Rapids Montessori, Camp Alumni 2000’s. Retired Special Education teacher for Grand Rapids Public Schools. Alumni 1959-1965. Consumer & Sensory Insights Expert at Gerber Nestle in Fremont. Lotika attended Mom and Me with her daughter, who now attends resident camp. 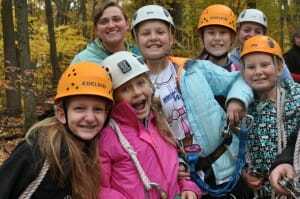 The Youth Advisory Council of Camp Newaygo is made up of campers from the previous summer that help out at year round events and provide input to help camp improve year to year. Camp staff nominate campers from western Michigan that love camp and that are enthusiastic about helping camp grow at the end of each summer.